So you’re pregnant (maybe your first, maybe your seventh…) you’re busy, you want to have the best possible birth and postpartum experience… but you don’t have the time or money for a quality 6-10 week childbirth course. What do you do? You could talk to other moms, but the problem is, your birth isn’t, wasn’t, and will probably never be their birth. Every mom, baby, and birth story is so unique that you can’t simply share stories and expect to be prepared. You could “Google it,” but that won’t exactly suffice, since there is so much out there to sift through to find quality, evidence-based material. You could take a class at your local hospital. . . which might be nice to get an idea of the layout of the hospital and to get yourself registered. But those classes can often be dull and essentially teach you how to be a good patient. Don’t you want to be properly informed with unbiased information so that you can be empowered to make the decisions that are best for you and your family? Here’s where the good stuff begins! My friend Kira realized that birth needed to go back into the hands of the mom, and that women needed to be empowered to make her own decisions without feeling guilty for choosing an epidural if that’s what it comes down to. They need to be truly prepared to have a positive birth experience, whatever that may look like for them. That’s why she founded The Mommy Method: Total Preparation for Birth and Beyond! 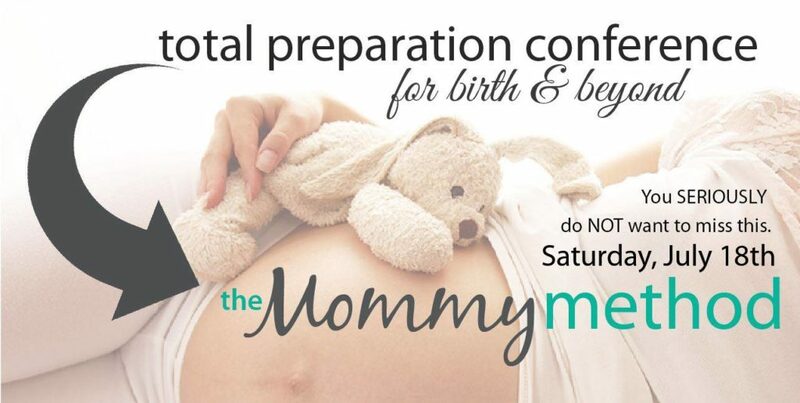 The Mommy Method is an all-new approach to childbirth preparation. 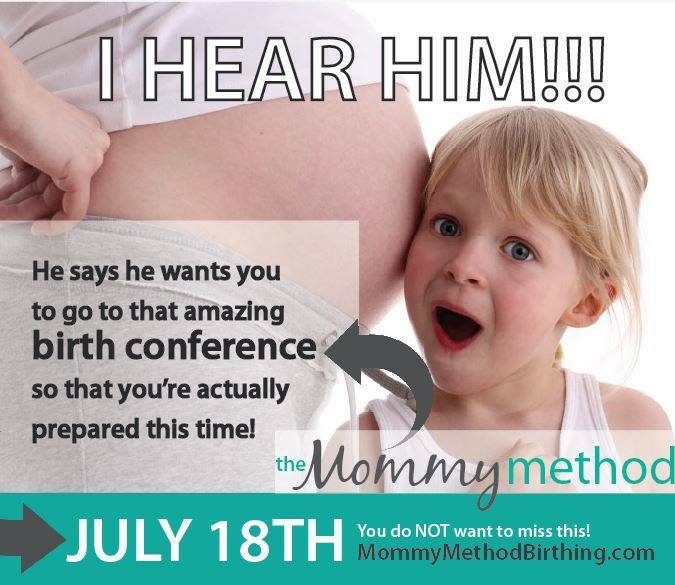 It is a one-stop, all-day, fun-filled CONFERENCE, tailored to the needs of every birthing mother! The conference features amazing, evidence-based classes throughout the day from experts in the fields of pregnancy, birth, and postpartum. You can pick and choose from the classes that are relevant to you and your unique situation. For example, a first time mom may want to know about the signs and stages of labor, while a second time mom may want to know about how to release a past traumatic birth experience, or what to do so she can breastfeed this time around. There are so many options! The conference will also feature amazing local vendors, giveaways, food, and entertainment, plus amazing VIP perks that include a fabulous dinner, ALL of the online audio downloads from the classes (so you don’t have to worry about missing anything! ), a Q/A panel with selected professionals so you can get all of your juicy questions answered, and more. The conference will be all day on July 18th, in Sandy, Utah! It will be SO worth the drive if you aren’t local, but if you can’t make it in person, all of the audio tracks from the conference will be available for purchase on the website after the conference. The first 25 people to sign up for the conference have a shot at winning a pair of adorable Freshly Picked baby moccasins ($60 value), and who doesn’t want some of THOSE for their precious little? I so wish I had been able to attend a conference like this when I was pregnant! Definitely going for my next one. If you’re interested, You can sign up here under the “Register Now” tab! How to Help Your Husband Connect with the KIDS!